In search for new ways of increasing profits from the property investments of its clients, Prime UK Property thoroughly studied and tested the possibilities for investing into student accommodation in the UK. This has become one of the most popular ways to invest among international private investors. These are just some examples of the current investment projects in student accommodation in the UK. The popularity of the city’s two leading higher-education institutions—The University of Nottingham and Nottingham Trent University— have led to Nottingham’s growing student numbers. Both these universities have reported ever-growing student populations over the past 5 years, which has only served to widen the current deficit between supply and demand in Nottingham’s already oversubscribed student accommodation market. 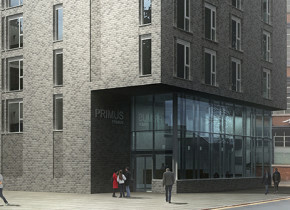 Primus Edge offers a superb student property investment opportunity in the heart of Leicester. With 159 studio units in a prime location next to De Montfort University and just a short walk from the University of Leicester, Primus Edge is perfectly located to meet the high student demand in the city. 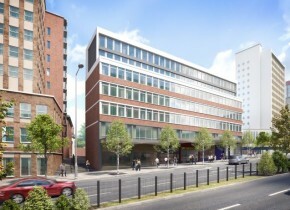 Trinity Hall, Leeds, is a brand-new investment opportunity in the lucrative market of student accommodation investments. It will be the first ever purpose built student accommodation with fully integrated ‘Smart Home’ technology! Investing in Trinity Hall is investing in the future of property. Trinity Hall is located in the popular Woodhouse district centre and has good public transport links to the city centre: the perfect solution for students looking for independent living in a modern environment. Printworks is a purpose-built student accommodation hub in a prime location. Its six floors provide excellent social and communal facilities, including a cinema, gymnasium and IT suite, plus all the facilities and utilities you would expect from a high specification student development. Accommodation comprises 151 studios and 9 two bed apartments. All units are en-suite, have their own kitchen, dining and study areas, and make clever use of space with quality fixtures and fittings. The flats come fully furnished and include electrical appliances, bedding, crockery, cutlery and bathroom accessories: perfect for tenants to just arrive, unpack and unwind. The Kettleworks is a high return property investment opportunity and the first offering within our St. Georges Urban Village development, which will bring over 600 homes to the area. 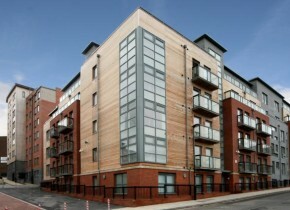 The development is located in the much sought after Jewellery Quarter in Birmingham City Centre. Steeped in history, the Jewellery Quarter is fast emerging as one of Birmingham’s most vibrant and lively locations, with over 30 restaurants, bars and cafes alongside other facilities necessary for a successful urban village. 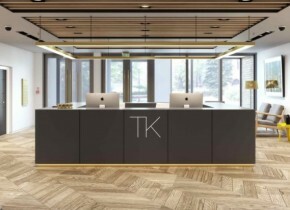 Situated within walking distance of the city centre and in particular Birmingham’s Banking District, which includes HSBC, Deutsche Bank, and RBS investment banks. One Islington Plaza will offer a mix of 317 studio and en-suite clusters, ideal for both undergraduate and mature students. The apartments will have a power shower, study desk, double bed, flat-screen TV and high-speed broadband. There is even an on-site coffee shop managed by local independent roaster, Crosby Coffee, which will be a major selling point for the development. 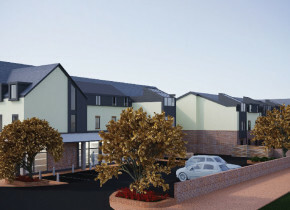 We are expecting a large amount of interest in this development due to its location and features, so make sure to enquire below today to secure your pick of units. The rapid growth and high profitability of student accommodation in the recent years is due to the students’ demand for high-quality accommodation significantly exceeding the availability, as well as the constant growth in the rental prices of student accommodation. According to Knight Frank, in the cities of London, Manchester, Liverpool, Leeds, Edinburgh, Newcastle, Nottingham among others there is currently a shortage of student accommodation. As a result, the rental prices continue to grow regardless on the economic situation in the country and the rest of the world. Another important factor contributing to the growing popularity of student accommodation is the large number on international students. The UK is currently second in the world behind the USA in the rating of world’s top 100 universities. Due to this many international students come to study in the UK – today the proportion of international students in British universities often reaches 30%, and may increase by as much as 15-20% in the coming years. 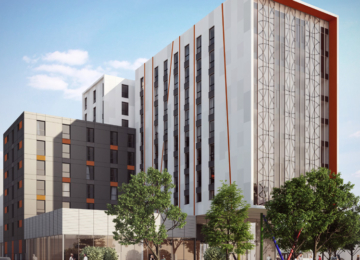 Property investors now also have the opportunity to purchase rooms or studios in student accommodation buildings during the construction stage. This option, whereby the investor purchases a room or studio, which is managed by a professional property management company, is ideal for the international investor, as there is no need to spend time managing the property, finding tenants and acquiring the necessary permits. In other words, you buy a complete and safe business in the UK with a guaranteed revenue. The prices for student rooms start from as low as £49,000, while the prices for apartments start from £200,000. When investing into student accommodation during the construction stage, the initial deposit is only 30-50% of the total price. Revenues from letting student accommodation reach 7-9% per year, while on average the yearly revenue from all residential property lets in the UK is 4.5%. A professional property management company takes care of managing the accommodation, which often guarantees profits during the first 2-5 years after the property first comes into use. As a result the investor practically enters a profitable business, but spends no time or capital managing the business, only receiving the revenues from the investment. The key advantage of investing into student accommodation, apart from high revenues and the low price of entry into the business, is the lack of the need for the investor to manage the property themselves. If necessary, make a quick and profitable resale of the project. In addition to this, we will do everything in our power to minimise the risks of delayed completion of construction or poor quality of property management – we work only with reputable developers and the UK’s leading property management companies.